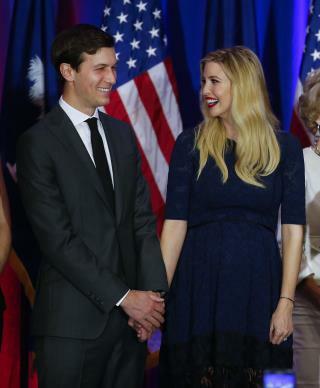 (Newser) – Donald Trump became a grandfather for the eighth time when his daughter Ivanka gave birth to a baby boy on Sunday. "Jared and I feel incredibly blessed to announce the arrival of Theodore James Kushner," she tweeted. The Guardian notes that other Twitter users didn't take long to point out that Trump may not be overjoyed by the choice of name, since Theodore is often shortened to "Ted," though GOP rival Ted Cruz's real name is Rafael Edward. Last week, Trump told the American Israel Public Affairs Committee that his daughter was about to have a "beautiful Jewish baby." Love the Ted/Donald argue about the spouse...like that isn't a warm up for the big tent when the spouse on the other side is Bill Clinton?